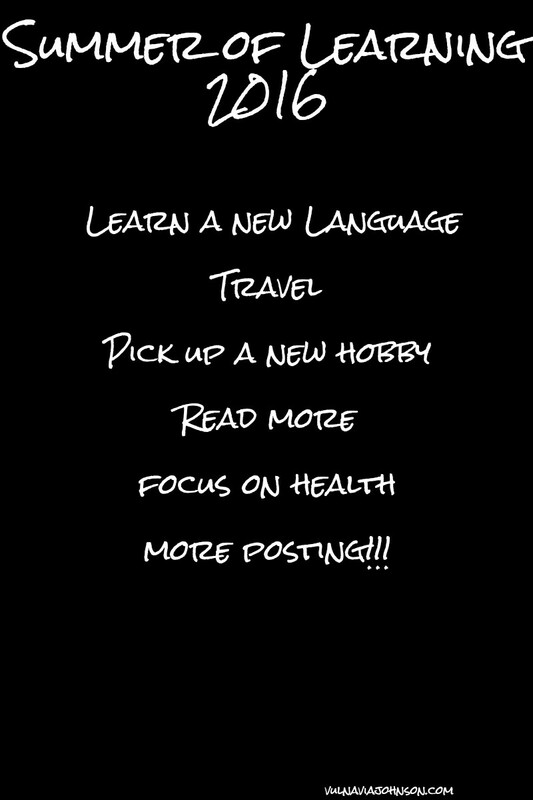 Learn a new language: I have been wanting to learn another language for years now. I had a failed Spanish trying to learn attempt in college (I have issues rolling my R's). 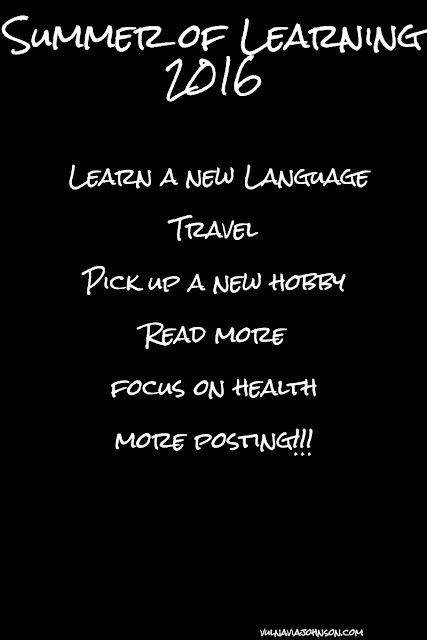 I have decided that I want to try to learn two languages before the end of the year. I know which ones I want to learn first and we will see if this turns out better than the first time around. FYI: Spanish is one of the languages. Travel: I have not been on a vacation or traveled really just to travel in almost 4 years. The reason I love traveling is because I love history and going to different places. I will be staying in the southeast for a hot minute. I do have to venture to Dallas though before mid-July since one of my friend's is moving back to D.C and I told her I would come out there before she left. Pick up a new hobby: So far I went to a handlettering class and a class for wreath making. I will be getting back into the handlettering soon and trying my hand at another wreath. Until then I am trying to think of something I have been wanting to try. I have an idea of one thing but I have to pass it by some people that I know want to be involved in it first. Focus on Health: This could be misleading but I it pertains to reading more health books for enjoyment and not because I have to for class. I have gotten into holistic health and energy medicine a little lately (I just got the book Energy Medicine). I am trying to learn and understand all areas of health and wellness for when I finally decided which nutrition route I want to take. More Posting: I am going to try to learn better ways to blog so that I can post more frequently. Getting post done ahead of time so I'm not having to figure out what I am going to write has always been an issue since I am a slacker sometimes. I am wanting to sometime this year change up the blog again also. The main thing I want to do is hone my photography skills along with more drink/food/entertaining post (I am going to start posting the price of the recipes I post so people will know exactly what it cost to make it). I know it is still technically spring weather-wise but it is summer since I am only working/doing my internship/volunteering/blogging. Does anyone else have a list of things that they want to do or learn this summer?? ?